It’s been an eventful summer, with Thornwatch flying, shipping, and carting around the globe. We’re happy to be able to say that with just a handful of small exceptions, the Thornwatch Kickstarter has been completely fulfilled! After years of game design, art creation, playtesting, convention panels, layout, production, and shipping, Lone Shark and Penny Arcade are proud to have gotten Thornwatch into the hands of those who made it possible. Thanks to everyone who backed the Kickstarter, who played the game at PAXes and other events, who cosplayed, who created fan content for the Eyrewood universe, or who supported us and Thornwatch in a multitude of other ways. Thornwatch and The Dark of the Wood are out in the world because you made it happen, and we couldn’t be happier to die in the forest by your side. But don’t get too hasty. Before we go off pledging our lives to the Eyrewood, let’s check out all the cool things going on for Thornwatch. We found a few leftover sets of our gorgeous acrylic Thornwatch pawns from Dapper Devil. And by a few, we really mean “less than two dozen.” We figured you folks might want first crack at them. A set of 10 beautiful, upgraded player pawns illustrated by Mike Krahulik and crafted by Dapper Devil. The player pawns are made of 1/8″ thick clear acrylic and have a felt back to provide a smooth gliding feel when moved. These pawns include two versions each of the heroes the Blade, the Greenheart, the Guard, the Sage, and the Warden. A set of 10 beautiful, upgraded player pawns illustrated by Mike Krahulik and crafted by Dapper Devil. The player pawns are made of 1/8″ thick clear acrylic and have a felt back to provide a smooth gliding feel when moved. These pawns include two versions each of the heroes the Briarlock, the Dark Courier, the Unsundered, the Weave-Weald, and the Woldsen. 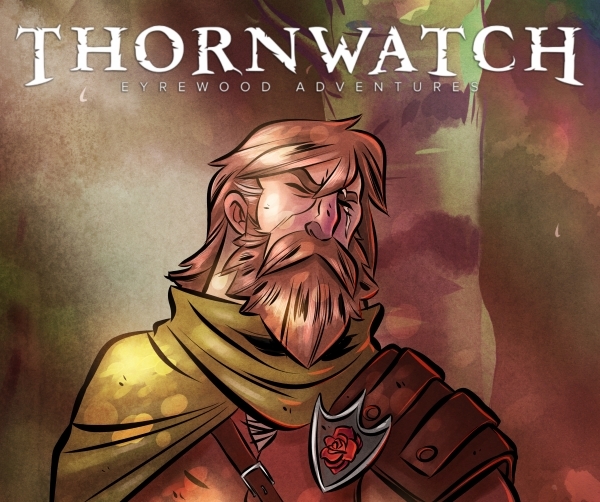 Thornwatch is out, but the Eyrewood continues to grow. Eyrewood Adventures is a site built around all the stories, crafts, art, songs, and experiences people have with Thornwatch and the Eyrewood universe. 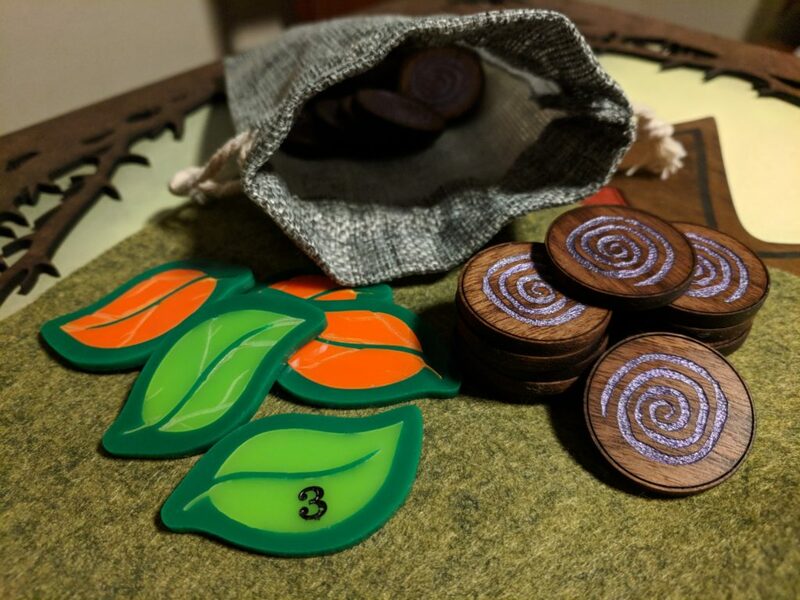 The picture above shows off some awesome custom Thornwatch tokens made by Jason Smith. If you have something cool to share with us and the Eyrewood community, just follow this link to submit your work! Eyrewood Adventures is also where we provide updates to the rules, new lore, new scenarios, and Thornwatch news. There’s plenty to explore in the forest, so stop by Eyrewood Adventures each week to see the newest addition from the community and the latest from the Judges and the Lone Shark team! That wraps up this dispatch from the forest. Thanks to all of you again for helping us make Thornwatch and for for being such a great community. We couldn’t ask for a better group of people to play games with. See you in the forest!